The Swing Kings - Neil Drover - agency for live music, presenters and entertainers. The Swing Kings are a fantastic swing act featuring four excellent singers and performing some of the greatest ballads and swing classics from Michael Buble’s, “I Just haven’t met you yet” to Frank Sinatra’s, “Lady is a tramp”, from Julie London’s, “Cry me a river” to the Four top’s, “My girl”. 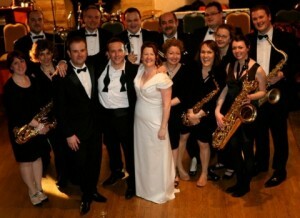 The Swing Kings are a perfect start to your event playing through dinners or during receptions.